As for the Eon Duo: no. If you defeat for example Latios in Dragon's Den, there's no second chance. That's what's being told you from Axel before fighting the Eon Duo. Same goes if you defeat let's say Latias in that small cavern south if Fuchsia City. Defeating it results in never seeing it again. But everyone knows that from other games, such as Fire Red, Leaf Green, Diamond, Pearl, Platinum, etc. There's only ONE chance to catch them. 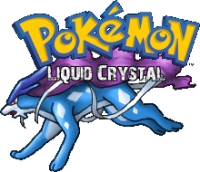 So this also counts for Suicune.